Roberto Firmino was discovered by a dentist. Yes – this brilliant fact is genuine and not an internet rumour. 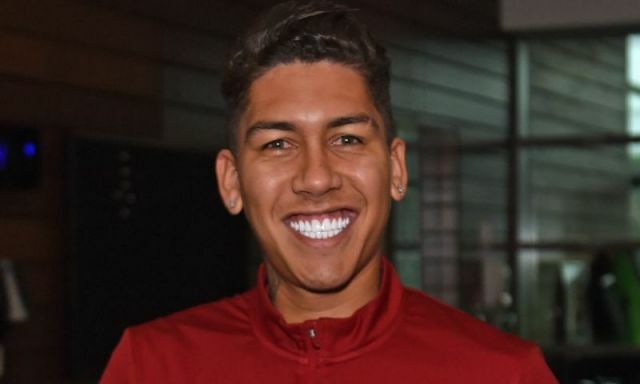 Bobby’s teeth are the whitest of any footballer/human we’ve ever seen (bar Ross in that episode of Friends where he overdoes the Hollywood treatment) – so perhaps it’s on the advice of the man who first noticed his talent! The practitioner saw Firmino at local side Clube de Regatas Brasil and was blown away by his ability – even if nobody else was at the time. “When I saw him play for the first time, I could see that he was a very talented player,” Portella said, reported in the Mirror. Roberto Firmino showing off his pearly whites for Brazil. Despite being a dentist, Portella quickly became Firmino’s agent and got him trials at Figueirense – for whom he’d eventually sign and break into the first-team. After two seasons in Brazil though, Hoffenheim snapped him up and he eventually established himself as their key player, before moving to Liverpool in 2015. In England, he’s an automatic starter for Jurgen Klopp, on nine goals for the season so far – just three off his best tally in red already. He’s been superb recently and we only hope he maintains his current level. If he adds more goals to an already polished game, we’ll be talking about one of the best players in the top flight.